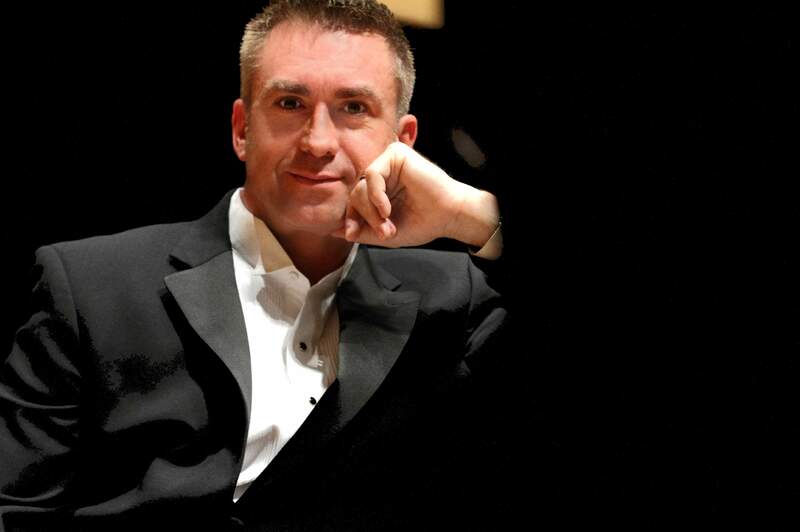 Keyboardist James J. Myers is in demand as vocal coach, adjudicator, composer and clinician. Sharing the stage with leading artists of our age, he has collaborated with Christine Brewer, Judith Christin, Marvin Hamlisch, Thomas Hampson, Michael Mayes, Robert McDuffie, Morris Robinson, Nadine Sierra, Chris Thile, and Renée Fleming, and with composers Tom Cipullo, Jake Heggie, and Philip Glass. He has supported masterclasses of William Burden, Jane Eaglen, Sylvia McNair, Abby Simon, Frederica von Stade, Wagnerian Linda Watson, and the late violin virtuoso Zvi Zeitlin, and served as pianist/adjudicator for Music Teachers National Association, National Association of Teachers of Singing, and annually with Classical Singer National Convention, where two of his singers have won First Prize Artist’s Division. Directing a dynamic coaching studio, his students have secured roles at Vienna State Opera, Bregenz, Glimmerglass, Central City, Santa Fe, Merola, Sarasota and Idyllwild festivals, and won scholarships to Juilliard, Indiana, and Eastman. In Early and New Music projects he has appeared as harpsichordist with Jennifer Koh (Vivaldi’s Four Seasons), Bernard Labadie (Handel’sMessiah) and with Manhattan’s Percussia through New York cultural grants. In past seasons Mr. Myers joined colleagues presenting collaborative concerts in Madrid, Berlin, Seattle, Denver, and in Los Angeles. Since 2012 he’s enjoyed an affiliation with Boston Lyric Opera as Coach/Pianist and lecturer at venues throughout New England on topics including Music of Matisse, Tonadilla and Zarzuela,Architecture and Acoustics, Enlightenment Austria, Beaumarchais’s Figaro, and all of BLO’s pre-performance lectures. In houses throughout North America and Europe he commands a vast and diverse collection of operatic literature, including Jonathan Dove’s Flight, Der fliegende Holländer, Nixon in China, Jake Heggie’s Dead Man Walking, and The Crucibleby Robert Ward. In addition he serves with Boston Conservatory’s opera team, and is engaged annually with Berklee-BoCo’s Summer Opera Intensive in Valencia, Spain, at Placido Domingo’s Palau de les Arts Reina Sofia. Mr. Myers holds degrees with distinction from the Eastman School of Music, the University of Colorado at Boulder, and the Hochschule für Musik und Theater, Hannover, Germany, where he was awarded a Rotary Graduate Fellowship.